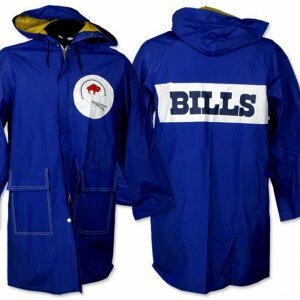 Early 1970s Buffalo Bills Game Worn Sideline Jacket. 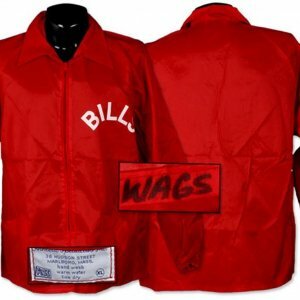 Early 1970s Buffalo Bills Game Worn Sideline Slicker. 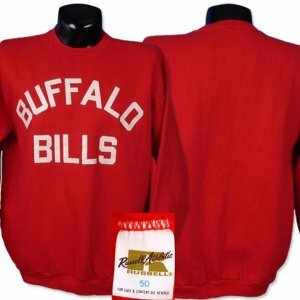 Late-60s AFL Buffalo Bills Game Worn Sideline Sweatshirt. 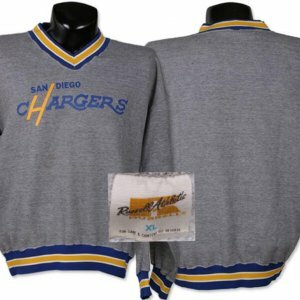 1970s San Diego Chargers Game Worn Sideline Sweatshirt. 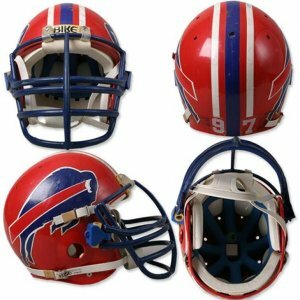 1970s U.S.C. 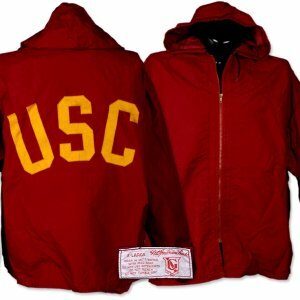 Trojans Football Game Worn Sideline Jacket. 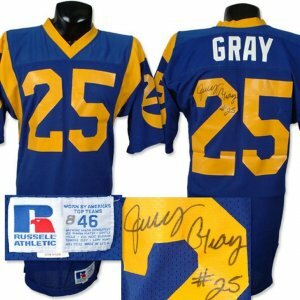 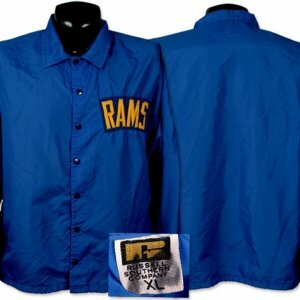 1970s Los Angeles Rams Game Worn Sideline Jacket. 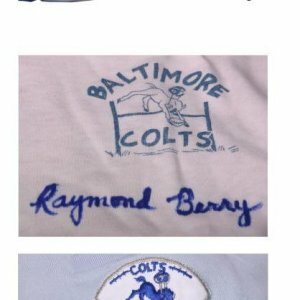 HOF Raymond Berry Baltimore Colts Game-Used Stirrups & Shirts, Signed. 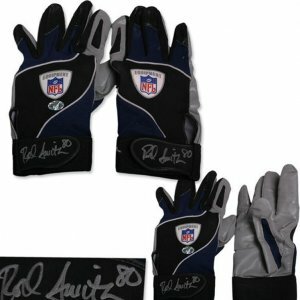 2003 Rod Smith Game Worn Gloves. 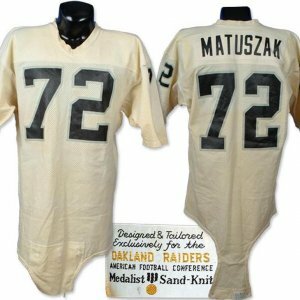 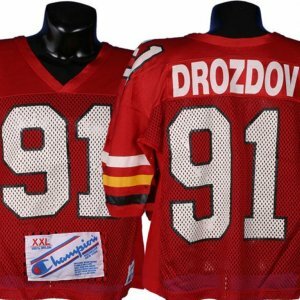 Late 1970’s John Matuszak Raiders Game Worn Jersey. 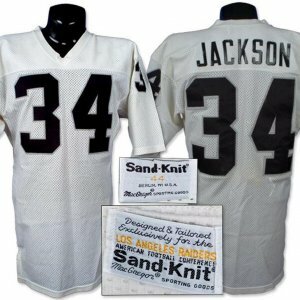 Late 1980’s Bo Jackson Game Worn Jersey. 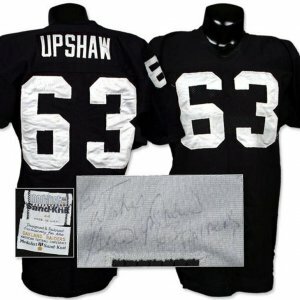 Late 1970s HOF Gene Upshaw Game Worn Jersey, Signed. 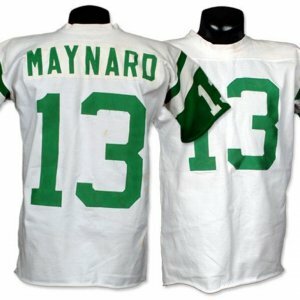 Early 1970’s Don Maynard Game Worn Jersey. 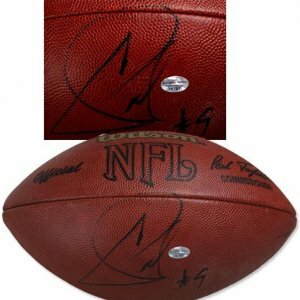 2003 Carson Palmer Game Used Signed Football. 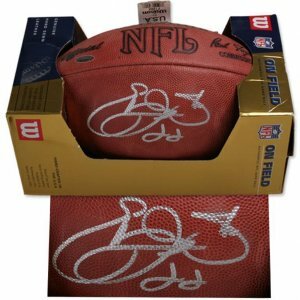 2003 Zach Crockett Signed Game Used Football. 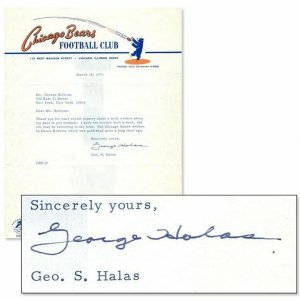 HOF George Halas Signed Letter on Bears Stationery (1971). 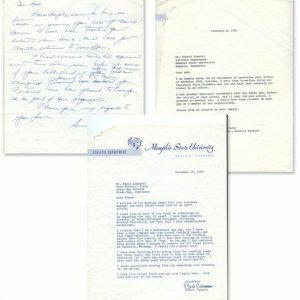 1961 Vince Lombardi Green Bay Packers Handwritten Letter. 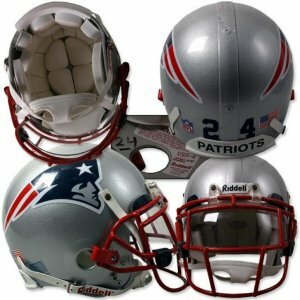 2001 Ty Law Game Worn Helmet. 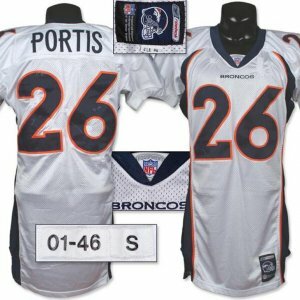 2001 Rod Smart “He Hate Me” Game Worn Rookie Jersey. 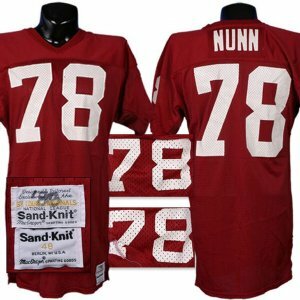 1986 Freddie Joe Nunn Game Worn Jersey. 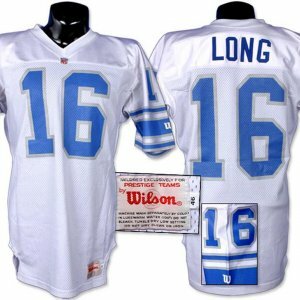 Late 1980’s Chuck Long Game Worn Jersey. 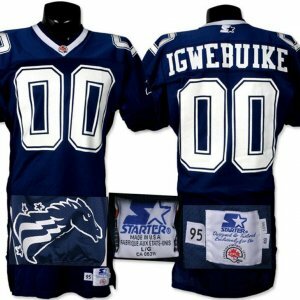 1995 Donald Igwebuike C.F.L. 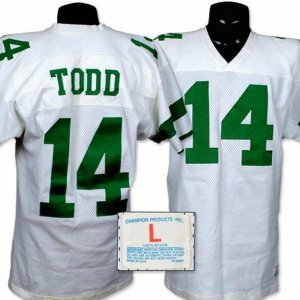 Game Worn Jersey. 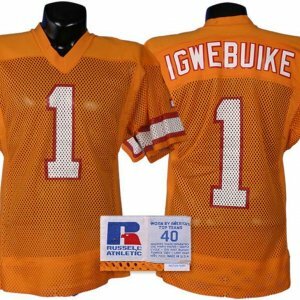 Mid-1980’s Donald Igwebuike Game Worn Jersey. 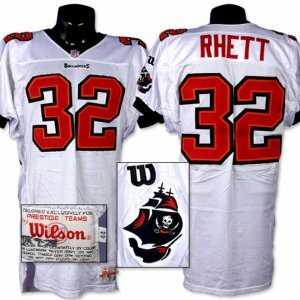 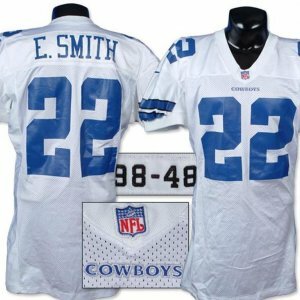 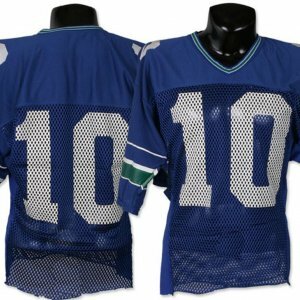 Mid-1990’s Errict Rhett Game Worn Jersey. 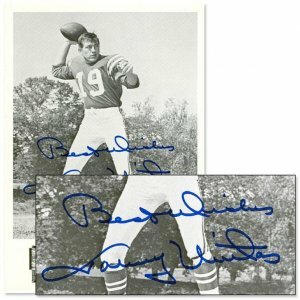 MINT Johnny Unitas Signed Promotional Card. 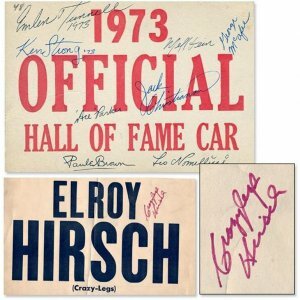 1973 NFL HOF Induction Parade Car Signed Placards w/ Brown, Strong, Tunnel, McAfee, et al. 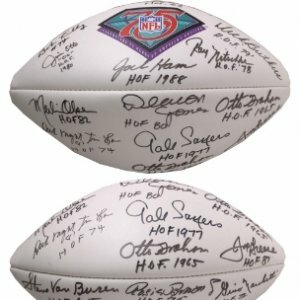 1994 Hall of Famers Multi-Signed Football With Butkus, Otto, Jones, Motley, And 11 Others . 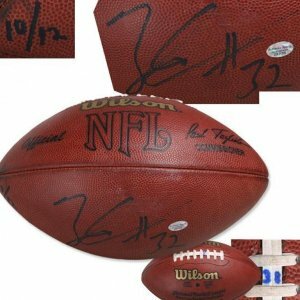 Emmitt Smith Single Signed Football. 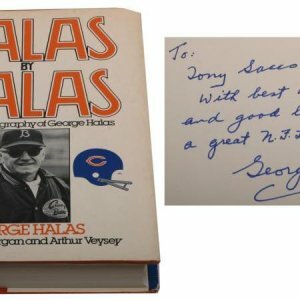 “HALAS BY HALAS” 1st Edition Signed Book w/DJ (1979). 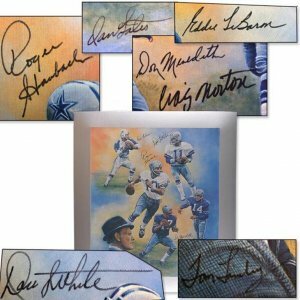 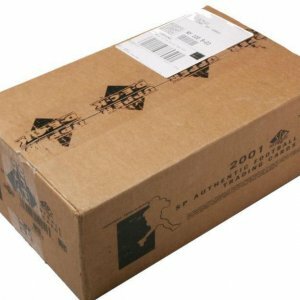 Dallas Cowboys Quarterbacks (5) & Tom Landry Signed Lithograph. 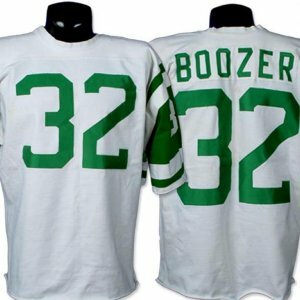 Early 1970’s Emerson Boozer Jets Game Worn Jersey. 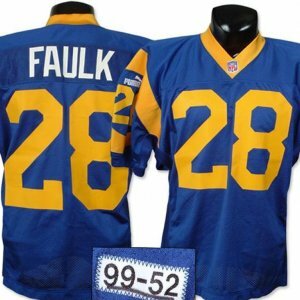 1999 Marshall Faulk Rams Game Worn Jersey. 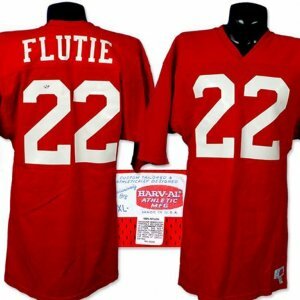 1985 Doug Flutie New Jersey Generals Game Worn Jersey. 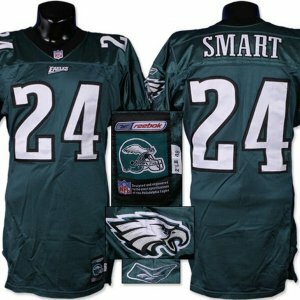 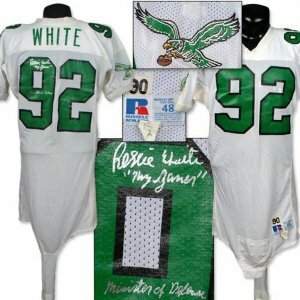 2001 Duce Staley Eagles Signed And Inscribed Game Worn Jersey. 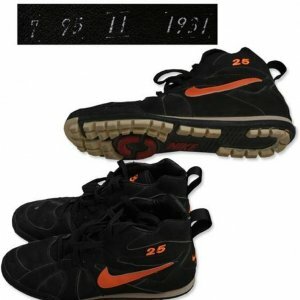 Circa 2001 Barry Bonds Game Worn Turf Shoes. 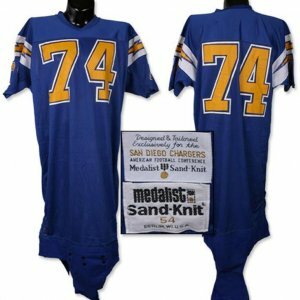 1980’s Richard Todd Game Worn Jersey. 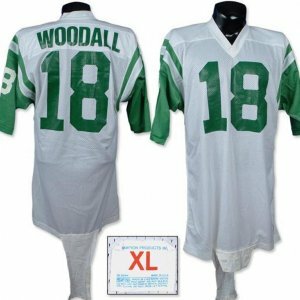 Early 1970’s Al Woodall Game Worn Jersey. 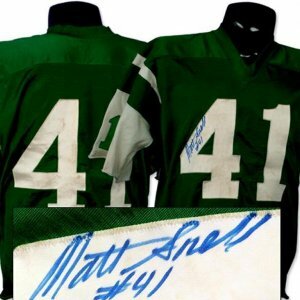 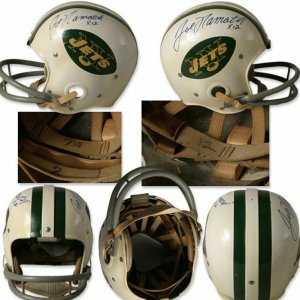 1968 Matt Snell DURENE NY Jets Game Used Signed Jersey. 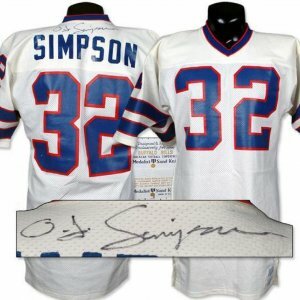 Mid-1970’s O.J. 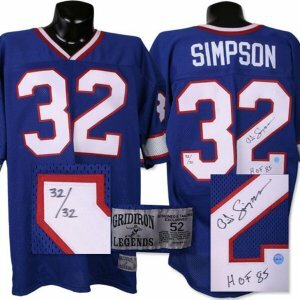 Simpson Game Worn Jersey, Signed. 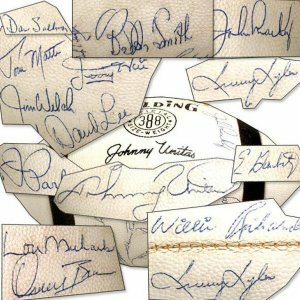 Vintage 1967 Baltimore Colts Team Signed Football, 35 Signatures! 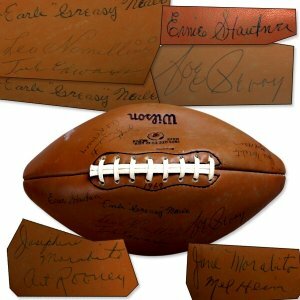 Incredible 1969 NFL HOF Induction Day Signed Football – ALL Enshrinees & Presenters (Edwards, Neale, Perry et al). 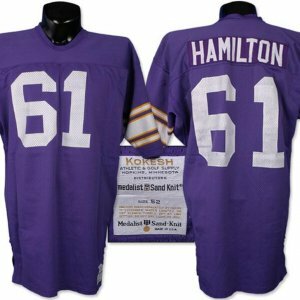 Early 1970’s Wes Hamilton Game Worn Jersey. 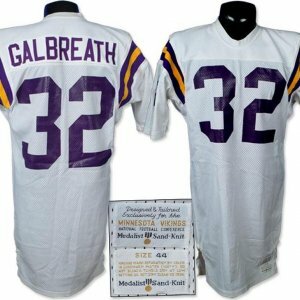 Early 1980’s Tony Galbreath Vikings Game Worn Jersey. 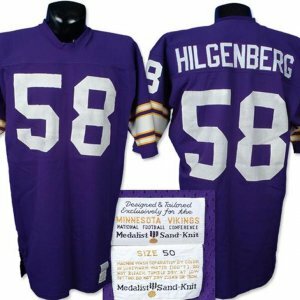 Early 1970’s Wally Hilgenberg Vikings Game Worn Jersey. 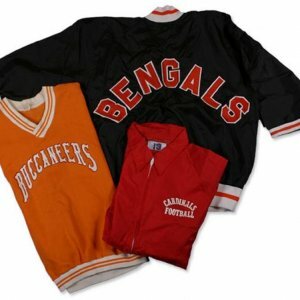 Early 1980’s N.F.L. 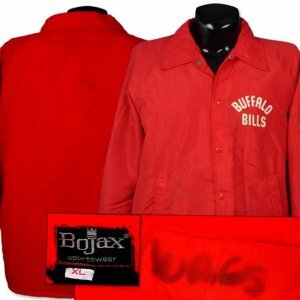 Game Worn Sideline Jacket Collection (3). 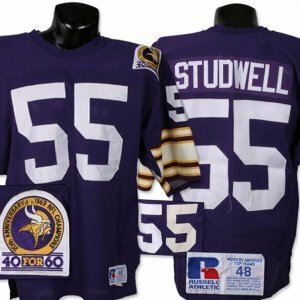 1984-86 Walter Payton Bears Game Worn Jersey. 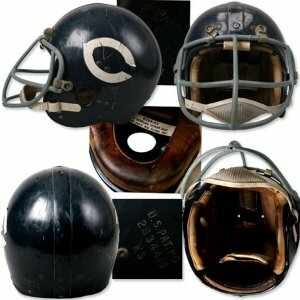 1960’s Chicago Bears Mike Pyle Game Worn Helmet, with Pyle LOA. 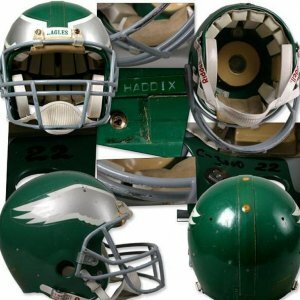 Late 80’s Cornelius Bennett Game Worn Helmet.